The opposition continues to hammer away at Prime Minister Stephen Harper over his apparent refusal to directly intervene in the plight of Canadian journalist Mohamed Fahmy, who is on trial in Egypt. Opposition Leader Tom Mulcair asked Harper about the case twice in question period Tuesday. "Has the prime minister of Canada spoken with President el-Sissi of Egypt about getting Mr. Fahmy back to his home in Canada?" asked Mulcair, pointing out that Australian Prime Minister Tony Abbott spoke to the Egyptian president on a number of occasions on behalf of an Australian journalist involved in the same case (who was subsequently released). "We've raised this at all levels and will continue to do so in the ways that we believe are effective," answered Harper. "So it's a no," retorted Mulcair, before moving onto another line of questioning. Fahmy was arrested and jailed in Cairo on Dec. 29, 2013, along with two other Al-Jazeera English colleagues. They were covering protests against the ouster of then president Mohammed Morsi of the Muslim Brotherhood. The Australian, Peter Greste, was eventually deported home. Fahmy was accused of broadcasting "false news" and supporting the Muslim Brotherhood, which had been declared a terrorist group. He spent 411 days in jail before being released on bail last week to face a retrial. Whether Harper has spoken to el-Sissi remains unclear, though there are indications he has written letters to the Egyptian president about Fahmy's predicament. Fahmy's case is just the latest case of a Canadian or dual citizen whose situation abroad has led to loud calls for Harper's intervention. But in the case of Abousfian Abdelrazik, for example, the prime minister has remained reticent about any involvement on his part. But why would Harper be so reluctant to reveal what he has done, leaving the impression of a leader who doesn't care about Canadians in trouble abroad? The opposition only has theories. "Maybe he has a lack of confidence in his relationship with these leaders or he is just not interested in doing that," said NDP foreign affairs critic Paul Dewar. Liberal foreign affairs critic Marc Garneau notes things have changed since Fahmy was first arrested. "The excuse that Fahmy was a dual citizen was valid until he was no longer a dual citizen," said Garneau. 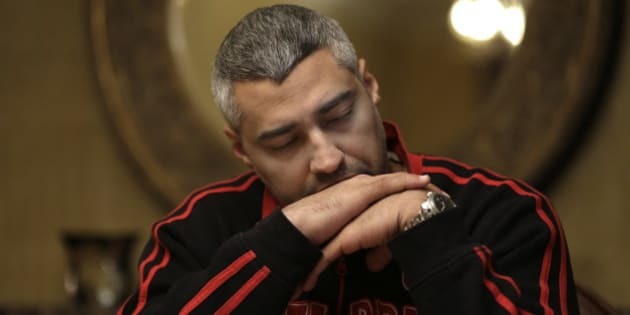 Fahmy gave up his Egyptian passport at the beginning of the month in hopes of being immediately deported to Canada. That didn't happen. Garneau is at a loss to understand why the prime minister hasn't followed the Australian prime minister’s example, because, he said, all other options have been exhausted. But other observers aren't so sure. "I never quite believe everything I read. There's always another shoe that's going to fall somewhere," said Keith Beardsley, a former senior adviser and deputy chief of staff to Harper. Because there are such large gaps in the publicly available information about cases like Fahmy's, it is hard to know what goes into Harper's calculations, he said. The prime minister is briefed by diplomatic and security officials about these types of incidents and much of what he hears is classified. "There's going to be all sorts of stuff in there that you and I would have no clue about. And some of it could be, if you go to high profile, what are the negative consequences for the guy over there?" said Beardsley. On top of that, Beardsley added, Harper isn't a micro-manager when it comes to issues with foreign governments. Ferry de Kerckhove agrees with Beardsley on that point. "It's in keeping with his kind of a low-key approach to those kinds of issues. Leaving others to do their jobs," said the former Canadian ambassador to Egypt, who has also acted as Harper's sherpa at the Francophonie summit. In Fahmy's case, according to de Kerckhove, his dual citizenship complicated matters and reduced Harper's influence. "He probably doesn't want to get involved in the nitty-gritty of an issue in which there's not much to gain, because he knows at the end of the day that the system of the country involved will prevail over whatever he may be saying," he argued. And now that the impediment of dual citizenship is gone? "I think maybe there's a sense that [Harper] respects, however wacko it may be, the justice system of another country," said de Kerckhove.